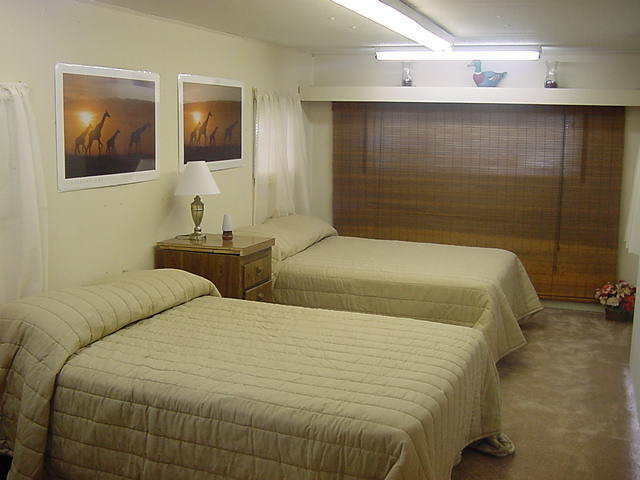 Camper Number 4 is a full-size mobile home that has been converted into two apartments. It comes with 3 queen beds and a non-sleeper sofa. 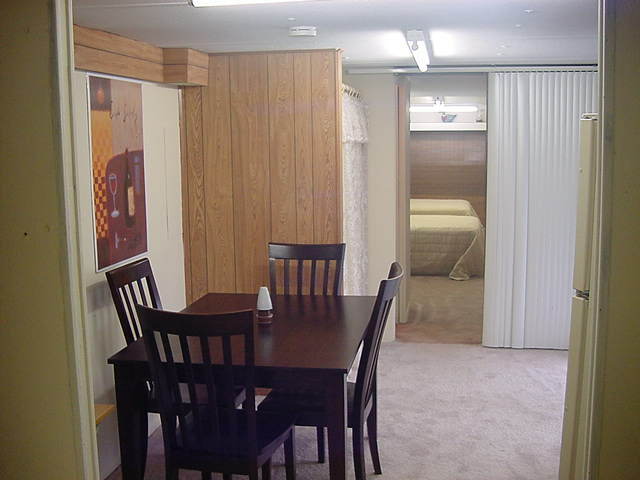 Unlike our rental trailers, this efficiency apartment is optimized for maximum occupancy and therefore does not have a stovetop. It does however have a microwave and refrigerator / freezer. 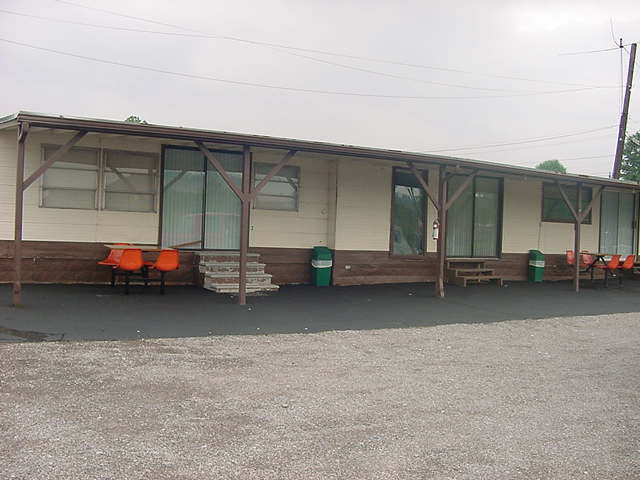 Camper #4 rents for $1,200 per week and this includes site setup, electrical, and water. $1,200 gets you everything for the week!